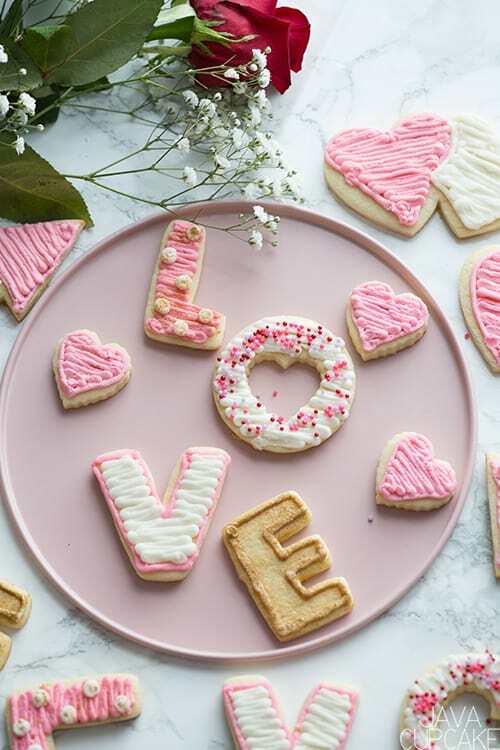 Show those around you that you love them by making and sharing these deliciously adorable Valentine’s Day Sugar Cookies. 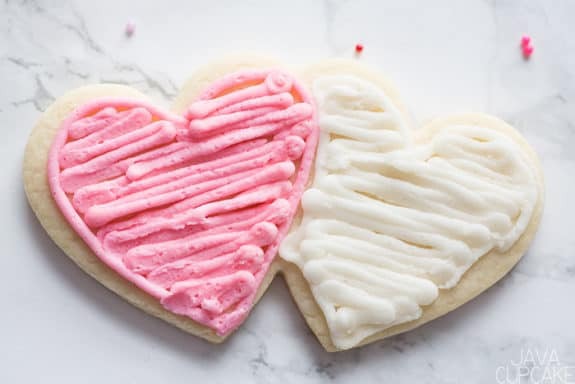 It seems as though every holiday my go-to treat to make has become sugar cookies. 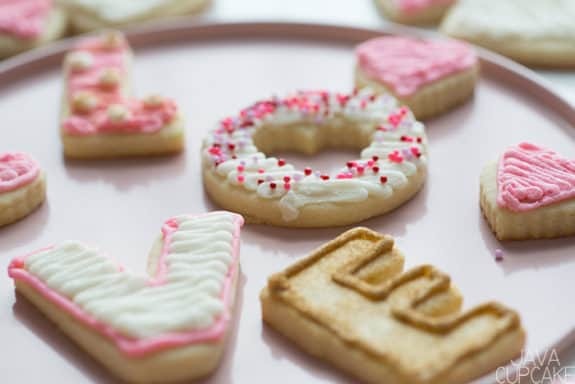 I find myself looking for new cookie cutters every time I go to the store, hungry for a shape I don’t have yet! To be honest, I don’t remember where this set came from or even what brand it is, but I knew I had to have it as soon as I saw it! Recently, I was teaching a Blogging 101 class and one of the participants questioned why bloggers write so much before the recipe. The person complained that they didn’t want to read about bloggers personal lives, they just wanted to get to the recipe. My response to her was two-fold. First, the recipes that bloggers share are FREE to those who visit their blog. The only cost to the reader is a few seconds to scroll through to the bottom to get to the recipe. Yup, that’s it… just a finger flick… flick…flick. 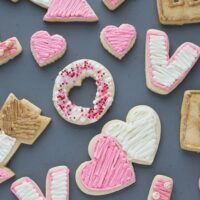 In my world, for tried and true recipes like these Valentine’s Day Sugar Cookies, a flick… flick… flick is a pretty darn good rate! 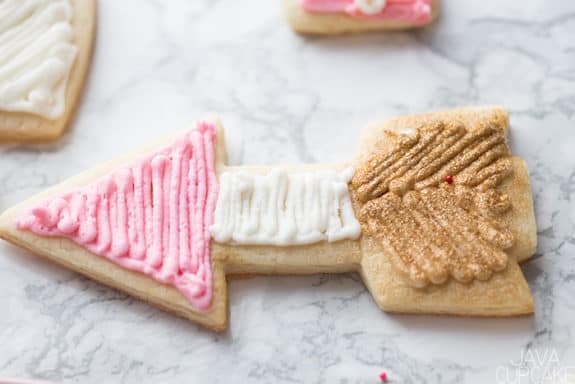 Second, in order for readers like her to actually find the recipe on sites like Google or Pinterest, the bloggers need to follow certain rules. For example, to get listed on the first page of a Google search, a blogger must have the best Search Engine Optimization including a minimum number of words and photos per post. Bloggers don’t do this for free. You mean I don’t share recipes just because I have all kinds of free time? That’s laughable. I follow good SEO so that I get a LOT of people coming to my site. The more people coming to my site the more the ads on my site make money and in turn… the more new recipes I can create! So if you’ve read this post thus far… I say THANK YOU! Thank you for helping me earn a living by doing what I love… sharing recipes with people like you! In the bowl of your stand mixer, cream the butter and shortening together until smooth. Scrape the sides of the bowl. On a floured counter, knead the dough 2-3 times until smooth. Roll out cookie dough to about ⅛" thick. 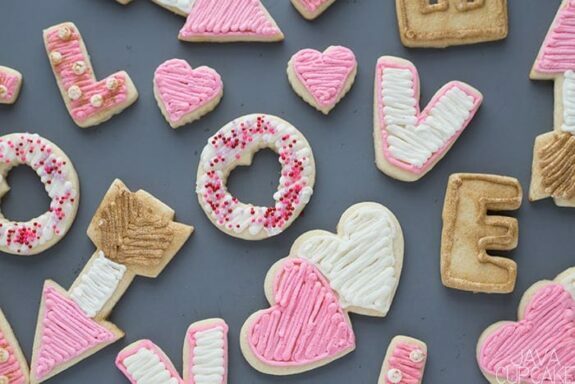 Cut out Valentine shapes and place on the cookie sheet 1" apart. Repeat until all the dough has been used. Bake for 6-7 minutes or until the edges are SLIGHTLY brown. 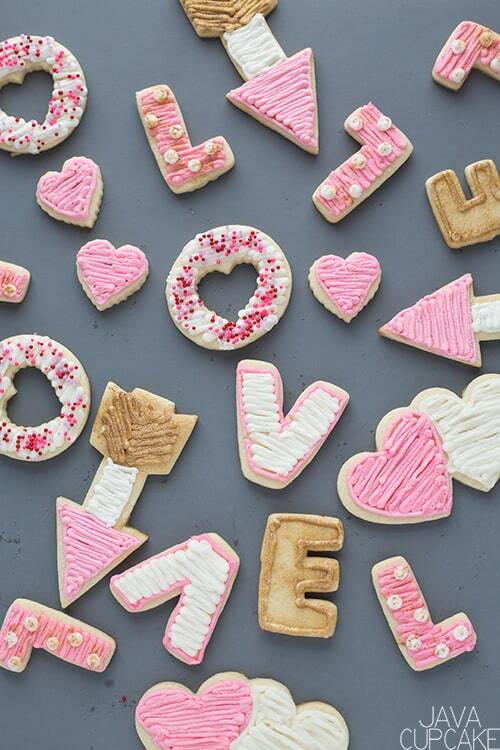 DO NOT OVER BAKE!! Allow to cool on the pan for 1-2 minutes before removing to a wire rack to cool completely. In the bowl of a stand mixer, cream the butter and shortening together. Add the powdered sugar and mix on high until smooth. Mix in the vanilla and salt. Scrape the sides of the bowl. Add up to ½ cup of heavy whipping cream until you reach your desired consistency. If you like it thicker, add less cream. If you want it thinner, add more cream. Whip on high for 2 minutes.